Parks are Ailsa’s travel theme this week. Her prompt is to share my favorite park. For me though, this is difficult. I love nature and I’ve been to many parks of all types. Today I want to share a recent discovery. 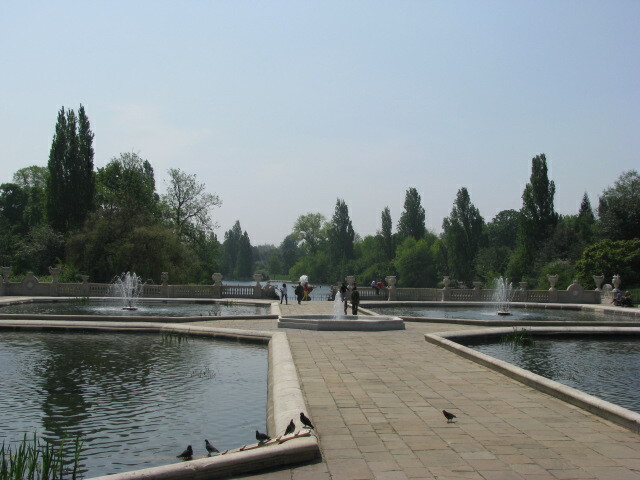 The first time I visited Kensington Gardens, one of the Royal Parks of London, I was disappointed that the Italian Garden was closed. 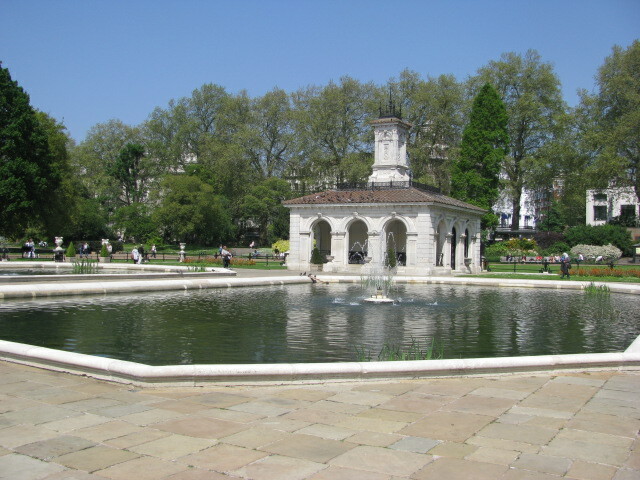 This area consists of fountains and sculptures. My first visit occurred during October so the fountains were not running and there were construction boards blocking my view. 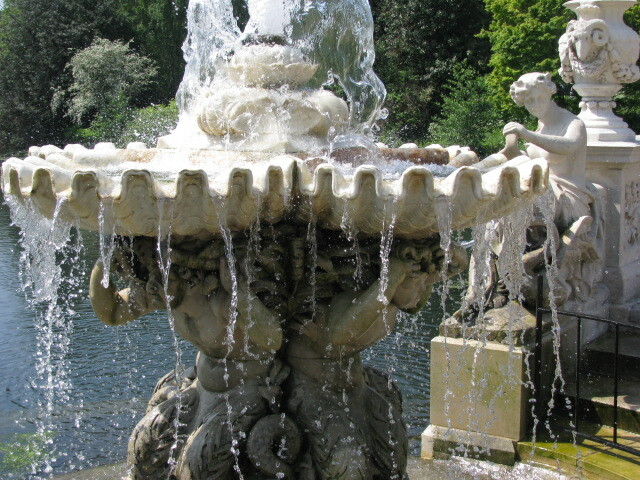 A few weeks ago I was wandering through the garden and I came across the Italian Garden. I had completely forgotten about it. Fortunately, I stumbled upon the area and now I think it might be one of my favorite parts of the park. This will probably change since the entire park has much to offer, but currently this is my fave. 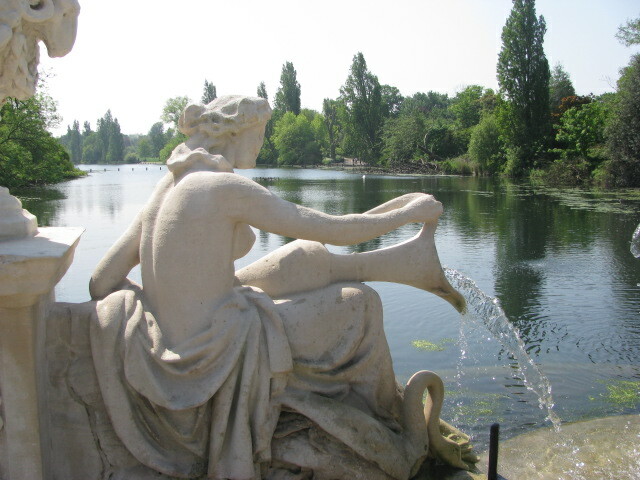 Not only are the fountains beautiful, but the view of Long Water is wonderful. If you are in the area, I recommend wandering over to see it. 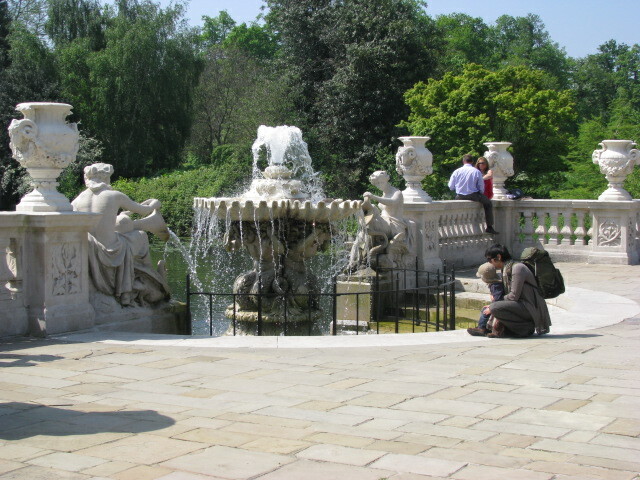 This entry was posted in Travel Theme and tagged 50 Year Project, England, Italian Garden, Kensington Gardens, Life, London, Nature, Parks, Photography, Photos, Royal Parks of London, Travel Blog, Travel Journal, Travel Theme. Bookmark the permalink. Sigh. You live in such an amazing place. I still have to pinch myself so I know it isn’t a dream. Haven´t been there for years – that was fun! I know you have some lovely views in your part of the world! I’ve never been to Kensington Gardens and had no idea it was like that. Your pictures make me want to see it for myself now – beautiful! 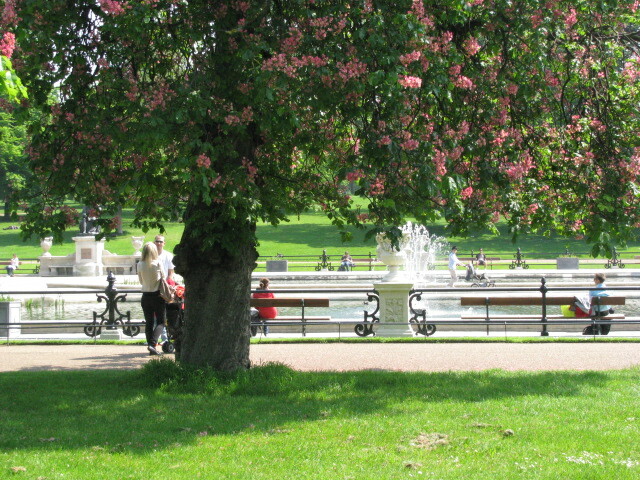 It is a wonderful park…the flowers, lawns, the Palace…all of it amazes me. They are beautiful and mesmerizing. I should bring a book down there and read one day. I love how the sculptures and nature work so well together. Now that looks like a perfect place to sit and have our pints!! What do you think? 🙂 We would have to camouflage them somehow, but I know we could do it. I just found this place and you are already plotting for me to get kicked out for life…I have some flasks. Flasks would work! You see, I knew you would like my idea :). They are so peaceful to stare at. Beautiful pictures – what sort of tree is that with the pink blossoms? Anybody?? It’s lovely! I have a park actually right opposite my house – it’s not quite as amazing as the ones in your pics but it is nice to have all the trees and greenery right there on the doorstep. Oh goodness, I am horrible at naming trees, flowers, birds…so hopefully someone out there can help us. The little park across the street from my flat is wonderful. It has some grass and trees and isn’t large, but I do love seeing the green so I completely understand. Beautiful. 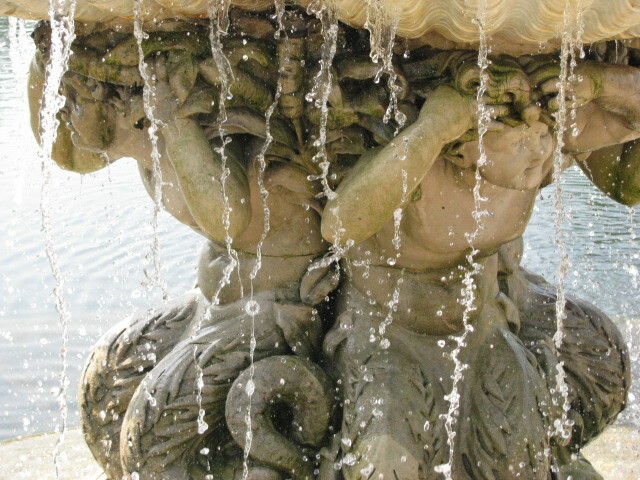 I love fountains. And parks. I have a fascination with water. If there is a river, stream, lake, fountain, pond–anything I want to see it. And if it is in a park, I’m all for it. My loved ones tease me about this all of the time. I wonder if it is because I grew up near water. I always feel like I am home when I’m near water. I haven’t been to Primrose Hill yet…adding it to my list for sure! Thanks! I can sit in this park for hours and never get bored. Thanks! Beautiful photos! My brother lived in London for a couple of years. I really really really want to go there some day. Since I’ve been reading Chris Guillebeau’s site on travel hacking, hopefully fairly soon! It is a wonderful city Daniel…I really hope you do visit. I love seeing all the places where authors lived and such. Very inspiring. Oh wow…thiss is in your neighbourhood. i would never leave it. It was an amazing find! I feel lucky each day. 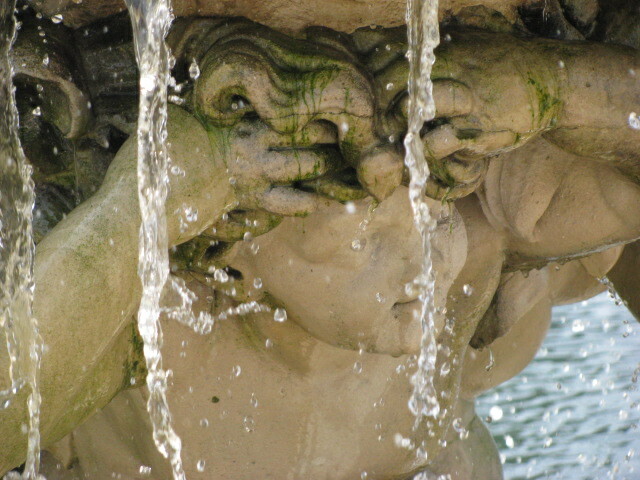 No doubt about it – the Gardens are lovely – and I love your fountain shots! I’m so glad I stumbled upon them. How I forgot about them is amazing considering their beauty. 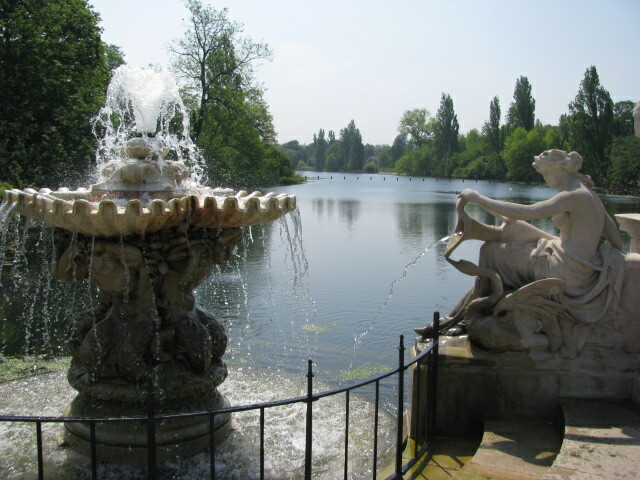 I have good memories in Kensington Gardens. Thanks for bringing them back.